Hello all, I am glad to have found a site where there are so many others who have had similar experiences that I had growing up!! I was born in Kashiwa, Japan (close to Tokyo) in 1991. My given Japanese name is Satoru, while my full American name is Nathan Satoru Kogge. My mother is Japanese, born in the Shinjuku district of Tokyo, and my father is American, born in Chicago to Irish/Polish parents. We lived in Japan until 2001 with my two brothers, born in 1995 and 1997. While living in Japan, I was almost immediately made aware of my distinctions. In all my schooling in Japan, everybody else was full Japanese. My father would tell me of when I used to deny the fact that my hair color was brown — an after effect of being harassed for not having black hair. However, ten years of my life were spent in Japan, and it shaped the person I am today. I know the difference between Tonkotsu/Tonkatsu, I love Natto (fermented soybeans), Ikura (salmon roe), and I still say “Ibaraki” as “Ibaraghi”, a dialect of the area I spent my years in. 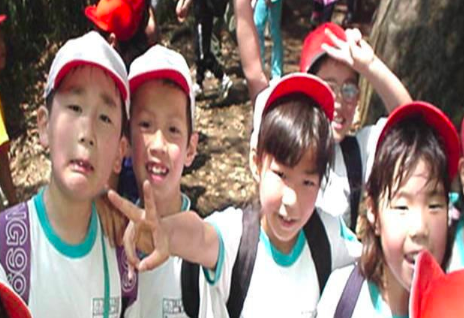 Many challenges have been encountered both in Japan and the USA throughout the years. Many kids would make fun of me for my hair color in Japan, though there were some that openly admired it as well! In the USA, I’ve struggled with the fact that no one saw me as Japanese/Asian, and conversely didn’t fit in with the Caucasian crowd. Lonely is the best way I can sum up growing up. I have never spoken to anyone who had experiences similar to mine, nor have I met many Japanese people, which quite honestly still makes me feel isolated as I consider myself, to the fullest extent of the meaning, a Japanese American. Although I have had thoughts of wishing to be monoracial throughout the years, I can now say that I am proud to be Hapa. I have been exposed to “both sides of the coin” so to speak from a very early age. I am always willing to listen to both sides of the story, and my experience has made me smarter, stronger and more adept than I ever would have been had I not had the experiences I had. Above all, I hope to expand my Japanese to a native level ability (I have no accent, but vocabulary can be challenging when the conversation gets technical), and put to good use my language abilities and cultural understanding of Japan and the USA.